Frias Properties of Aspen provides vacation rentals, property management, and real estate services to Aspen's homeowners and visitors. Helmed by Chuck Frias and Tim Clark, Frias Properties has grown to be a cornerstone company in the Aspen community, employing a large local workforce, servicing hundreds of homeowners and touching thousands of visitors each year. Headquartered at 730 East Durant Avenue, Frias Properties also operates three satellite guest check-in locations at the Fasching Haus, Silverglo Condominiums and Independence Square. All four locations also serve as the operational centers for Aspen vacation rental management and property management with full teams of property managers, maintenance staff, housekeeping personnel, front desk agents, a concierge desk as well as sales, marketing and accounting professionals. With a portfolio of more than 200 vacation rentals in downtown Aspen and at Aspen Highlands, including the hotel rooms at the historic Independence Square, Frias Properties has become the preferred source for Aspen visitors seeking condominiums, resort residences and private homes. Guests of Frias Properties receive complimentary amenities including Aspen Airport transportation (excluding Independence Square guests), health club passes, concierge services, 24/7 support, and more. Frias Properties real estate brokers are all long-time locals with deep knowledge of the Aspen area market. With areas of specialization ranging from historic West End estates to core condominiums and fractional residences, Frias brokers are focused on connecting clients with properties to match their lifestyle. Originally from Dartmouth, Mass., Chuck drove his car over Independence Pass in 1974 and landed in Aspen for good. His first foray into property management was as a housekeeper for Coates Reid Waldron, the largest property management company in Aspen from 1974 through 1995. Chuck became a property manager the next year and continued in this capacity for the next 11 years, earning his stripes on the front lines of the property management and vacation rental industries. In 1985, Chuck became a partner and vice president of operations at Aspen Club Properties, leading operations for several divisions including property management, real estate and a lodging property that became the Sky Hotel. Chuck managed these entities through a company sale and eventually bought the remaining interests in 1998. 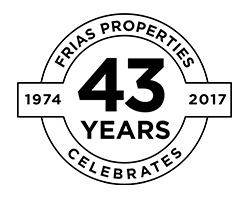 With his comprehensive experience in every aspect of Aspen real estate and property management, he started the company that is now Frias Properties. Today Chuck is very active in the daily operations of Frias Properties, focusing on real estate sales and company-wide marketing. With a deep love of the Aspen community, Chuck has served on local charitable boards including the Aspen Chamber Resort Association, Aspen Valley Hospital, the Aspen School District Finance Board and the Aspen Lodging Association. A devoted father, husband, skier, golfer and biker, Chuck lives in the Meadowood neighborhood with his family. 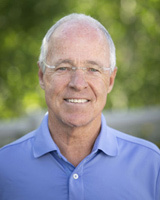 In August of 2000, Tim Clark merged his company, Aspen Classic Properties, with Chuck's to form Frias Properties of Aspen. The two remain equal partners today. Tim, born and raised in Aspen, attended University of Colorado and built his resume in real estate, management, sales and development working with his father, a prominent Aspen attorney. He became a realtor and started managing properties for Dolomite Villas in 1988. Tim started his own management company, and he and his partners steadily acquired other Aspen-area management companies to grow his company to Aspen Classic Properties. 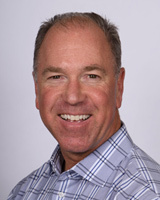 Tim believes deeply in the value of community involvement and has served on a variety of boards and community-based organizations, including president of the Aspen Lodging Association. Through hard work and integrity, Tim has earned the respect of the Aspen lodging and real estate community and the many buyers and sellers with whom he works. I just wanted to write to let you know that I called the front desk and learned my place was well rented during January. I'm so happy about that news and wanted to thank you and the team for getting me rentals. I always appreciate the work you do for me. Thank you! Ben [Frias East Aspen Property Manager] manages both my condo and the whole of the Old Hundred condos on behalf of Frias. I work with him via the board of the Old Hundred. I just wanted to let you know, as a customer, I could not commend Ben more highly. He is intelligent, personable, competent, conscientious and thorough. He does an all around super professional job and is at all times excellent to deal with in every way. And importantly, I trust him to do the right thing. As always I want you to know what an outstanding staff you have with [Front Desk staff] Krystal, Whitney, Elizabeth and [Housekeeping Managers] Isidra and Luis, and [East Aspen Property Manager] Ben (he really gets things done and is attentive). Reservations, too -- they always pleasantly accommodate my idiosyncrasies. And [Association Accountant] Chris, she is just the best! And all who are too numerous to name.